In February 2018 I made the decision to try out the Ketogenic Diet based on a doctor’s recommendation. Did I need to lose weight: yes, did I have other health issues that needed to be corrected: yes. I had never even heard of this diet and honestly was quite nervous. At the time I was living a gluten-free, dairy-free and grain-free life (no corn, quinoa, etc). However I was a sugar addict! So after doing some research I thought I would give it a try knowing it would be a challenge. 70% of your diet needs to be fat; this is VERY hard. Most people start off thinking they can get their fat from protein. This will cause you to go over your 25% a day. You will need to add some sort of fat such as olive oil- think sauteed spinach or salad dressings; unsweetened full fat coconut milk- think coffee creamer, keto ice cream, curry dishes with cauliflower rice. Carb Manager App is a life saver. I used this for the first month to help me realize how much fat/protein/carbs are in the foods I was eating. This App is a must! Did you know vegetables have carbs? Onions have carbs, even broccoli has carbs. Crazy. However, there are low amounts so it is ok to have them in moderation. I love pickle juice and avocados. I have these items daily they help to replenish electrolytes and magnesium that you are missing during this diet. My brain is amazing! I stopped having the foggy gluten-head in the afternoons and I noticed that I was becoming more alert and engaging in meetings. All of my inflammation went away. I had started noticing that I felt puffy and swollen before going on this diet. The first week on Keto all of my inflammation went away. I am a lot less hungry. I used to need an afternoon snack every day. Now sometimes I can go without eating lunch. Ground grass fed beef is way better than ground turkey breast. OMG food tastes so much better! My diet, while always mostly protein and veggies has always been low fat high carb. High fat and low carb tastes so much better to me! I can still have wine! I am still able to drink wine- wine is very low in carbs. I have lost 24 pounds! Clothes I was unable to wear suddenly fit again! My overall consensus: I feel great and I am going to continue. I plan to continue this as my lifestyle because it is easy, I am eating whole foods, it tastes so good and I am not always so worried about my next snack. I also think it is helping my gluten-free lifestyle and my overall health. Have you tried it? What do you think? This past month, I had the opportunity to meet with Native Sun Natural Foods Market to discuss their celiac safe bakery, gluten-free product vetting, and more. As background, Native Sun opened its first grocery store in Jacksonville over twenty years ago. Since then, it has grown to three neighborhood stores and is known around town for its all organic produce selection, health minded and organic deli, delicious juice and smoothie bar, and the best celiac friendly bakery in town. They are truly Jacksonville’s neighborhood grocer! Whether you were recently diagnosed with Celiac Disease or are trying to prepare a gluten free meal for a friend or family member, I highly recommend making a trip to Native Sun. After meeting with their team, I really believe that they are the number one resource in the JAX community for products and tips on how to live a gluten-free lifestyle. Ginny Nehring, who is Native Sun’s Manager of Research and Education, is just one of the many resources available to you when shopping at Native Sun. 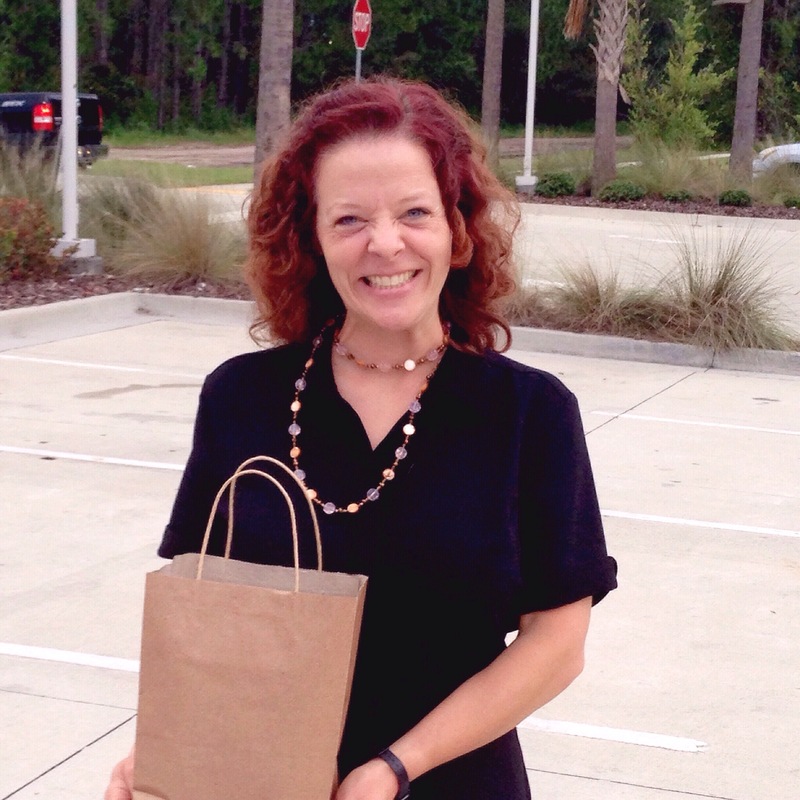 Ever since her middle son was diagnosed with Celiac Disease twenty years ago, Ginny has been researching gluten-free products and spearheading Celiac Disease community education around Jacksonville. I admire Ginny for her dedication to our community and the 1:1 time she spends with newly diagnosed gluten-free families. One of the services she offers at Native Sun is hosting tours to those newly diagnosed with Celiac Disease. Tours can include education on Native Sun’s color coded in-store labeling, recommending some of her favorite products, and can provide much needed comfort to those who are trying to navigate a new lifestyle and diet. Ginny shared with me that people often hear, “Celiac Disease” and fear that they can never eat their favorite foods again like pizza, pasta, or cake. When she walks them through the aisles and shows them donuts, fritters, muffins, pizza crust, pasta and breads that are celiac safe, it can open a whole new world of enjoyable options! Native Sun’s new product vetting process is also impressive. As the Manager of Research and Education, Ginny contacts every single gluten-free product manufacturer and researches their cross-contamination practices. As a result, Native Sun will not label a product gluten-free unless it has passed a rigorous process that ensures it is Celiac safe. Ginny shared that some products will be labeled by the manufacturer as “gluten-free” but after researching cross contamination practices, Native Sun will discover that they do not meet their gluten-free labeling standards. It was Ginny’s idea to create the dedicated gluten-free bakery at Native Sun. She had perfected many of the recipes in her home for her son and wanted to share them with the community. It’s important to mention that when I say, “gluten-free bakery,” I mean 100% gluten free Celiac safe bakery—it’s dedicated gluten-free. Their bakery items include my favorite oatmeal cream pie made with purity protocol oatmeal, carrot cake, banana bread, and even a pecan pie. In addition to what we put in our body, I had the opportunity to talk to Ginny about the cosmetics and skincare products that we often use. Ginny shared with me that we need to be concerned about the cosmetics we put on our skin and in our hair. One of her favorite products is a skincare line called Derma E—all items are gluten free. After our meeting, I tried one of the Derma-E face serums and absolutely loved it! I had to get used to the sunscreen type consistency, but it has done wonders for smoothing out my skin! Ginny assured me that not all their products share that consistency! Some of the items Ginny shared with me that I really want to highlight are these new Udi’s bread you do not need to toast! This is a game changer! Lastly, I compiled some of my favorite gluten-free items that are available at Native Sun! If you are looking to set up a meeting with Ginny you can contact the store by phone and request a store tour or stop by and complete a Product Knowledge Enhancement Tour form and she will contact you, usually within 24 hours to set up a time to meet with you at your convenience. Italian night! This gluten-free pasta tastes just like the real thing and the recipe for Manicotti is already on the box! The pasta is made in Italy. I also suggest pairing the cheesy bites. You might even trick your gluten eating friends. Mexican is the easiest to eat gluten-free and you can feel safe doing it at Native Sun even this margarita mix is safe! Have you been to Native Sun? Have you ever taken one of Ginny’s tours? I was diagnosed with Celiac Disease in November 2017. Since then the gluten-free world has changed and so have I. I feel a little more confident about how to eat, I am comfortable talking with restaurant staff in front of friends and I have learned not to hold up the entire tables order when giving my specific instructions. But there are some other big things I have learned. Let me share them with you! 1. Gluten-free does not always mean healthy. It is so easy to get caught up in the gluten-free breads, desserts, pastas and other processed foods. Many times those foods are high in sugar, fillers, fat, etc. that are not always good for you. While I am not perfect and I enjoy breads, cupcakes (icing is my weakness) I am trying really hard to stick to whole foods and have even tried to eliminate sugar and carbs completely. It is really important to read labels. 2. Gluten-free does not always mean celiac safe. In my early days, I thought if it was on a gluten-free menu it was safe. Many times restaurants will label fries and wings as gluten-free. Many times those items are fried in the same oil as chicken fingers or other breaded items. I try to always question items that I know will be fried or I avoid them all together and stick with salad and grilled items. Even a few tortilla strips on top of a salad can be agony for someone living with celiac disease. 3. I have gotten a little bit boring with my food. I eat at a lot of the same places because I feel safe. I feel like when someone asks me where I want to go it is one of these restaurants: Tacolu, Bonefish, PF Changs, Kamiya 86, Moxie, Epik Burger or Sake House. All places #1 are close to my house and #2 are places that make me feel safe. However, I am always up for trying something new even if it means I may have to spend extra time talking with my server before I order. More and more restaurants are educating their staff on the needs of gluten-free patrons. 4. I always have snacks on me. There is nothing worse than going to a work meeting and seeing that everyone is given a sandwich or wrap and I am stuck there for 3 hours or being on a plane where the only snack options are pretzels or cookies. I always keep some sort of nuts in my work bag and when I travel I like to bring peanut butter, gluten-free crackers, gluten-free pretzels and apples or grapes because no one wants to sit next to someone who is hangry. 5. I have a huge fear of being stranded without anything to eat. This is similar to #4; when you live with celiac disease the convenience factor is taken away. Fast Food restaurants are not always available and able to accommodate, gas stations have limited availability and coffee shops and other quick stop places don’t always have gluten-free items available. This has caused me to perhaps overeat at times and has got me into trouble with my weight. It is hard to find that balance between eating before you go somewhere and not having any options when you get to the event. This happens mostly when I go to weddings, dinner parties, on trips, and going to a friend’s house that doesn’t know I have celiac disease. 7. I need support. It is easy to feel like the odd man out when you are gluten-free and dairy-free. I occasionally get comments like “oh my gosh what do you eat” or “don’t you just want to cheat.” But overall my friends and family know that I am gluten-free and they are very supportive. My husband is extremely supportive we don’t have any gluten in our house. On Monday nights we rotate houses for dinner with some of our friends and it is amazing to see how friends say “gluten-free really isn’t that bad.” When I was diagnosed I felt like such a weirdo but now my friends will call and say “I am making dinner and here is the menu what can’t you have” or “what do I need to avoid for this recipe.” People don’t realize just how happy this makes me. What have you learned on your gluten-free journey? What advice would you give to someone newly diagnosed? Recently, Kristy Luschen the owner of Gluten Free Delights Florida reached out to me about trying some of her gluten-free desserts. She recently started her gluten-free dessert company and wants to get the word out to those following a gluten-free diet as well as restaurants who are looking for a gluten-free option at their restaurant. Kristy brought me a strawberry cream cake, chocolate cake with salted caramel frosting, and a cheesecake topped with dark chocolate. They sounded (and looked) delicious! 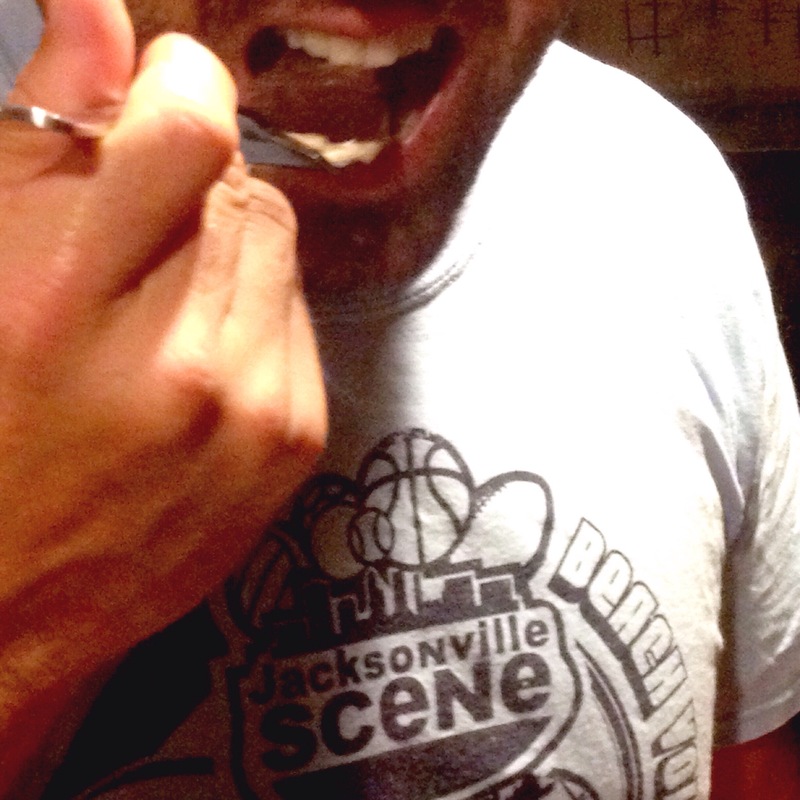 Since her desserts also have dairy (I am dairy free too) I had to rely on my go-to taste tester: my husband! Kristy went gluten-free a while back when she thought she may have had gluten-sensitivity or Celiac Disease. During that time she experimented with different gluten-free desserts and other recipes. While her kitchen is not designated gluten-free she makes every effort to clean, make sure all gluten-containing ingredients are out of sight and avoid cross contamination. 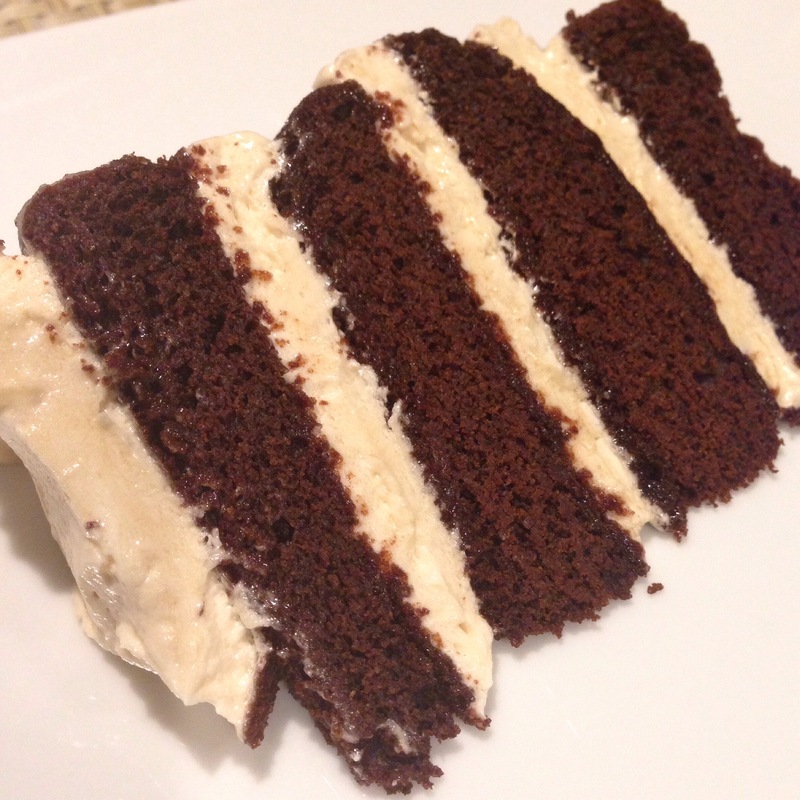 My husband found this one tasty- the icing had a salty taste which really balanced out the chocolate cake. The cake could be a little bit more moist (this is always a challenge with gluten-free cakes) or just pair with a glass of milk or add a bit more icing 🙂 He loved the flavor of the icing. This was my husband’s favorite so far and overall. He said it was SO GOOD. 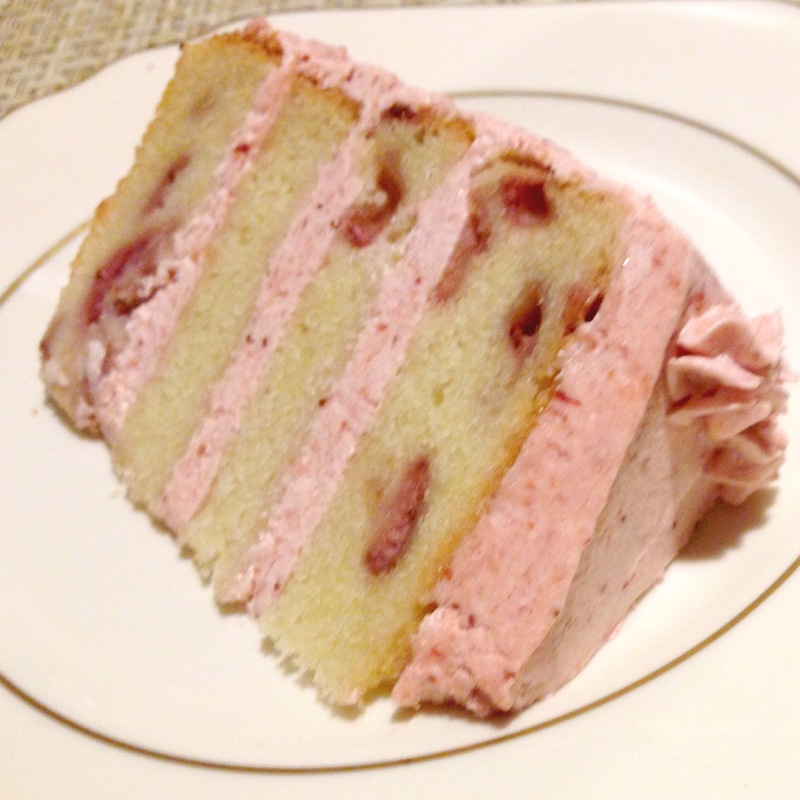 My husband stated that it reminded him of the strawberry cake that they have at French Pantry that is so delicious. It has a nice fruity creamy strawberry taste and has real strawberry chunks. My husband said it tasted really fresh. While my husband is not typically a cheesecake fan he said the cheesecake and graham cracker flavors tasted amazing together. I know as far as gluten-free options go it is usually quite hard to find a good graham cracker crust. It was so tasty it may not even need the chocolate part or maybe a little less. 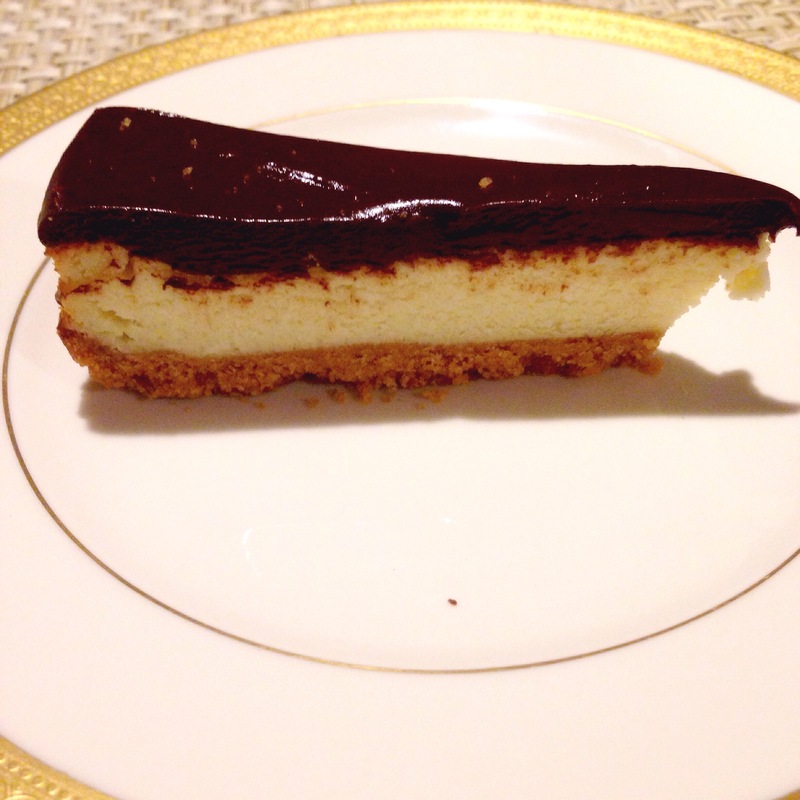 What are your favorite desserts? So you normally order gluten-free dessert if it is available? Who has the best gluten-free dessert? On a lazy Sunday I decided to do some gluten-free baking. Recently Amazing Foods For Health sent me gluten-free pancakes and gluten-free oatmeal raisin cookie mix. While I try not to eat too many carbs and processed foods, after running the Gate River Run I had a few extra calories to spare and my husband absolutely loves oatmeal raisin cookies so I had a willing assistant to help with the taste testing. I started the morning with some pancakes. The ingredients were easy and things that I almost always have on hand. Nothing is more annoying than weird ingredients that I have to make a special trip to the grocery store for. We are dairy-free as well we we used So Delicious almond milk instead of regular milk and added in some extra flax seed for added fiber. The pancakes batter came out thicker than I usually make so I added in some water . I followed the instructions on the box and they still came out pretty thick but they cooked really nicely and were delicious! I paired it with some turkey bacon and a cup of coffee and it was a nice little breakfast! While I had the mixing bowl out I figured I would go ahead and make the cookies too! Again the ingredients were easy and the only real pre-planning was to leave the butter out to soften. I used Earth Balance instead of regular butter. While the box stated that it made 30 cookies this batch only made 18 cookies and take note they don’t get much bigger than the size they are when you put on the cookie sheet. Also they came out a little dry, I may substitute coconut oil instead of the Earth Balance next time so they come out a little more chewy. But they were delicious and I can honestly say that half of the plate below was gone within 10 minutes! All in all they were both delicious. I don’t think you would even notice that they are gluten-free. They cooked easy and tasted so yummy. Looks like the only place to purchase these items in Jacksonville is the Walmart Supercenter on San Pablo Road S.
In November of 2015 my husband and I went to Italy on our honeymoon. Everyone thought I was crazy going to Italy with Celiac Disease. There is pasta, bread, pizza EVERYWHERE. So I did a little research and it turns out every child is tested for Celiac Disease by the time they turn one. Food is such an important part of their lifestyle that it is in their law that every restaurant has to accommodate a gluten-free diet. It didn’t matter where we went they always had gluten-free pasta, crackers, meats, cheeses or veggies to choose from. If you were really lucky you got bread or PIZZA! This is the Italian dream restaurant. Reservations are definitely recommended there are only 4 tables. The owners speak a good amount of English and they have a small menu each day. We shared the worlds largest plate of meat and then my husband had lasagna (not gluten-free) and I had steak with truffle oil. It was so wonderful! We didn’t want this meal to end so we decided to stick around for an after dinner sweet wine. This place came highly recommended by locals and other travelers. They are known for their Florentine Steak. We went at lunch so I think we missed the liveliness that this place offers. We enjoyed steak, a delicious meat plate and wonderful local veggies. I particularly liked that they gave us a welcome glass of prosecco. This was our first gluten-free pizza experience in Italy and it was awesome. The restaurant had many gluten-free options and they were very knowledgeable about what I could have and what I could not have. They had cozy outside seating which was great for people watching. We were a little late to lunch but they were very welcoming (in Italy locals never eat lunch after 2pm). We just loved this cozy quiet little town. 1 hour from Florence and next door to Pisa, it is quaint and a great place to rent bikes and tour the city. We love riding bikes so this was right up our alley. But before biking we stopped for a bite to eat. This place had some of the best pasta! My husband had fresh hand made tortellini that we watched being made by two non-English speaking Italian women (not gluten-free). I was able to have some gluten-free crackers and a delicious gluten-free pasta dish that was to die for. This restaurant was very romantic, candles, low light and very warm and cozy. It was a chilly and rainy day and this was a nice little respite tucked away off a side street. You must stay at La Locanda San Francesco in Montepulciano and you must eat at Osteria Acquacheta when you go to Montepulciano. I absolutely loved this town and the views from our room. There are many wine bars and restaurants in the area that you can visit but you can’t miss Osteria Aquacheta. This place is known for their owner and for huge pieces of steak (oh and they only give you one glass for wine or water). While steak is their main focus they have great sides including pasta dishes. They actually searched to see if they had gluten-free pasta but they had run out so I settled for some yummy fresh veggies. Their menu is small and changes with the season. There are two dinner seatings each night and reservations are a must. We got a huge steak to split, some fresh veggies, apples and pecorino cheese and a $6 liter of Un Bottella de Vino Rosso de la casa (a bottle of House Red Wine we said this a lot). We lingered a little to finish our wine and watched the cross table conversations and the staff sitting to enjoy a family style meal at the end of the night. A friend of ours coordinated a tour of Banfi Winery during our Honeymoon. Following the tour we decided to stay for lunch at their restaurant and enjoy a tasting of their wines. They too had gluten-free pasta offerings. This was probably the nicest meal we had the entire trip and one of the tastiest. We had a lot of dishes with Wild Boar in them in the Tuscany Region. While it sounded odd it was actually quite delicious. It looked like ground beef but had a richer flavor to it that wasn’t too gamey. This is gluten-free heaven located in my favorite part of Rome: Trastavere! I encourage you to walk around after eating this is such a neat part of Rome. They have pizza, pasta, beers you name it they have it gluten-free. They speak great English and it is a very fun lively place. They even made gluten-free bruschetta for us which was the only place I could get bruschetta and it was awesome; olive oil dripped everywhere! My husband was very impressed with their beer selection too; I had him drinking way too much wine. This was my very favorite gluten-free pizza in Italy. The toppings were fresh and the sauce was to die for. It was very easy to find gluten-free pasta, but pizza was always a challenge. It is located very close to the Vatican so we went in prior to our tour since it takes an entire day pretty much to see everything at the museums and the Basilica. This is a nice gem in quite a touristy area. It is a bit hard to find but well worth it. This place was tucked away in a locals-only area not far from the Colosseum. They actually discourage TripAdvisor reviews, they want to stay a place for locals only. Even though we were not locals they were very friendly but do not go if you are in a hurry. Do not go to any restaurant and sit down and expect to be in a hurry. It was recommended to us by another local restaurant as a place to get gluten-free pasta. I got the Carbonara Pasta and it was so good- it was made with egg, pancetta, olive oil, and garlic SO GOOD! This was our last dinner in Italy. It was wonderful. They were more than accommodating. They make their pasta in individual pans so I didn’t have to worry about cross contamination and we had the most amazing roasted artichokes. They were soo good. We ate so much food here and we went to aperitivo before hand. You will need to make reservations and try to have your hotel do it because they gave us an early dinner time because we were American. We were fine with eating late. Most Italians don’t eat until around 9. Do your own research before you go; TripAdvisor and Yelp are a big help and do some generic “Gluten-Free Italy” searches on Google. I suggest doing research before you go and download the TripAdvisor City Guides. That way you don’t have to scramble to find something to eat last minute you can pull up your City Guide (which works without wi-fi) and see which restaurants you already pre-saved are nearby while you are sight seeing. One of my favorite Italian traditions. It is kinda like happy hour but you pay a little more for your drink in exchange for snacks and appetizer type food. The very best we found was Freni e Frizioni. They had a whole buffet. Then you go eat dinner afterwards. My favorite was around the corner from the Trevi Fountain in Rome Gelateria Valentino they had dairy free gelato too.